“A people without the knowledge of their past history, origin and culture is like a tree without roots.” So said National Hero Marcus Garvey. Is the tree of the Jamaican people in danger of weakening, even perhaps toppling over in the next storm? The question crossed my mind as I sat in the Institute of Jamaica’s Auditorium on Sunday afternoon. The low-ceilinged, semi-circular room with its old-fashioned, dove grey furnishings and curved wooden stage was full – standing room only at times. The occasion was the National Library of Jamaica’s Fifth Biennial Lecture by Jamaican writer Olive Senior, entitled “Dying to Better Themselves: Colón Man and the Panama Experience.” The book is published in the centenary year of the Panama Canal. The period of history Ms. Senior’s focuses on is the mass migration of Jamaicans (and Barbadians) to Panama. There was an early exodus, to work on the failed attempt by the French to build the Panama Canal (1880-88). Between 1850 and 1920 there was a “virtual stampede,” Ms. Senior notes. Mr. Garvey’s words have almost become a cliché, and others have made similar comments in many different ways. But that does not make them any the less true. History is not something to be taken lightly. History is people, and we are people too. We must acknowledge and seek to understand these connections, these threads running from our ancestors’ lives to ours. Charge d’Affaires at the Embassy of Panama in Kingston Mr. Eric Cajar Grimas brought greetings at the lecture. Like Jamaicans who have departed the island for decades ever since, the Colón Man was simply looking for a better life. The grass was greener. Like many Jamaican migrants, he had a dream of riches; but he also had a reality check. The Panama Canal cut through dangerous country. Hardships there were. Our modern émigré encounters similar challenges – although he/she is not likely to be hacking their way through inhospitable rainforest, nowadays. The Colón Man suffered from racism and racial segregation working in the Canal Zone. Sadly in many countries today, racism and discrimination against immigrants persist. Yet many of those Jamaicans who made the journey a century or more ago overcame the physical and psychological obstacles to bettering themselves. They prevailed. Those who were less successful did not return; if they did, they would be ridiculed by Jamaicans back home. 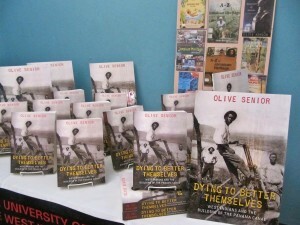 Ms. Olive Senior speaks at the Institute of Jamaica. 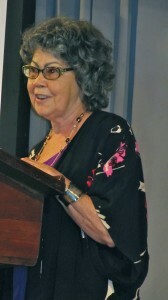 After the lecture, an audience member expressed concern about what she called “the abysmal ignorance” of younger Jamaicans about these aspects of their history. A friend also noted that, apart from two school groups, there were very few young Jamaicans in the audience. Does the older generation care more about the island’s history? What can be done to address this apathy? Does the education system need to focus on what is certainly a positive aspect of Jamaican nationhood, still relevant today? Jamaican history is about more than the politicians, the distant but ever-present Queen. It is more, even, than the horrors of slavery. It is also about that human spirit – not just of endurance, but of striving. This is what the “Colón Man” (and woman) represents. They both represent an important part of who Jamaicans are. And by the way, I do still believe those roots are strong, despite everything. Ms. Senior’s book on display. Footnote: Did you know that Panama has a Black Heritage Month, ending in Black Heritage Day – May 30? And you might also be interested in this blog: The Silver People Chronicle: This is the Story of the West Indian People of Panama (http://thesilverpeoplechronicle.com) There are other interesting websites to explore on this topic. 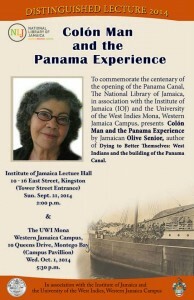 “Colón Man and the Panama Experience” is published by the UWI Press and is also available on Amazon. 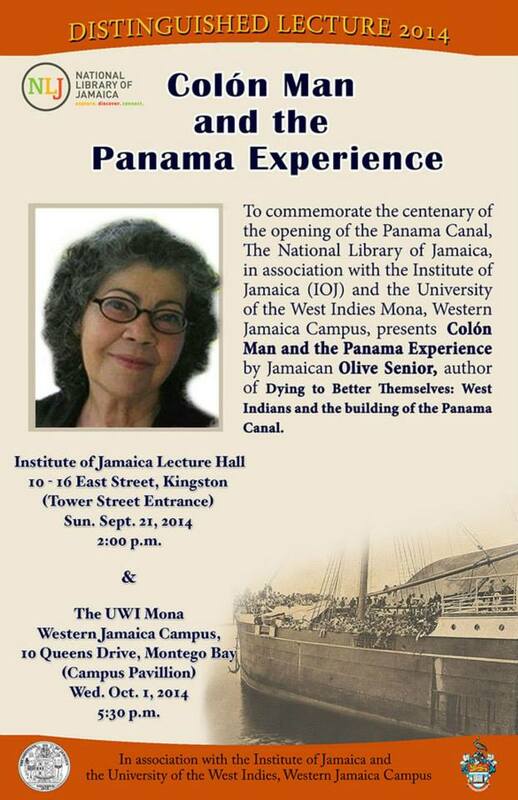 For those on the western side of the island, Ms. Senior will present her lecture at UWI Western Campus Pavilion, 10 Queen’s Drive, Montego Bay on Wednesday, October 1, 2014 at 5:30 p.m. It is well worth attending. Thanks for this Emma. I liked especially your concluding paragraph about history being about the endurance of the human spirit and about our ancestors’ struggles to create a better life for themselves and their children. I share the concern expressed at my lecture about finding ways to engage the younger generations in history. I’d be interested in hearing from young people themselves suggestions for how best to make the past meaningful for them. This is very interesting, Emma. Thanks. I always loved history even when I was a child. I have always been fascinated by the stories of survival and triumph over terrible odds, no matter whose story. Colon Man’s / Woman’s stories are right up there with those who triumphed. I am very glad Dr. Senior did this work. This is our story and I am very proud of it. A comment about young people and history. I thought the woman who spoke about the young people was being quite unfair to those that were present (few as they were). Those young people were there because they wanted to be. They should only have been commended for that, not chided about youth disinterest in history or told about “bench warmers”. (I thought she was quite out of order.) She should not have even mentioned that to them. They were not the bench warmers. They are the future story-tellers and our hopes of keeping our history alive. That is why they chose to be there on a Sunday afternoon. Encouragement sweetens labour. Thank you so much for your comments, Damien. I really appreciate them. Those who have left our shores in the recent past and those who currently leave for economic reasons are often regarded as “abandoning ship,” and even sound rather guilty when they say “I am leaving.” But in many ways it requires great strength, hope and determination that the future is going to be a better one. I am so glad this resonated with you. Thank you and all the best! Thank you so much! Your lecture was a fascinating experience for me – I learned so much. Through my own family history, I have always had a sense of the struggles (and the successes!) of immigrants, and it goes on round the world day after day… There must be a way to make history come alive, for it to be relevant to young Jamaicans, however. Perhaps the older generation has not been very successful in communicating this. As you say, young people themselves would be the best people to tell us. 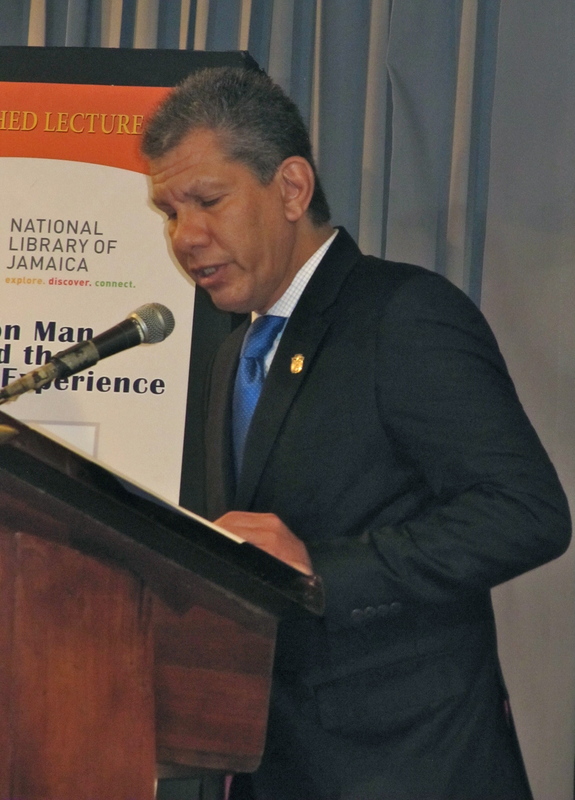 Thank you very much for your comments, and I hope the lecture in Montego Bay goes as well as the Kingston one did! Yes – it certainly is something to be proud of, I agree, and certainly a very admirable trait of Jamaicans – that determination. I do take your point about the comment on young people. The comment about “benchwarmers” was unkind and I deliberately did not mention it, but I think the underlying point was that we need to somehow bring our history to life for young people and re-establish that generational connection. Actually, a few months ago I was at the Institute of Jamaica for a meeting of Heritage Clubs that are being set up in the schools. The students who were there could not have been more enthusiastic, creating short films and writing and performing plays on Jamaican history at the local level (interviewing a descendant of Paul Bogle, for example). I wrote about it in my personal blog at the time. As you say, there is hope and there will undoubtedly be future story-tellers. What of the Jamaicans which went to Costa Rica, Cuba, San Andreas islands of Colombia and the bay islands of Honduras? It’s sad how ignorant we are of our history. By the way, my Dad was one of those Jamaicans whose parents moved to Cuba where he and his 4 siblings were born and to return to Jamaica in their early teens. Yes, indeed. There was some mention of these migrations, too – they should be the subject of several more books, I thought! Indeed, the gap in our historical knowledge was much discussed among the audience members (and, like you, many had ancestors who had migrated to Panama and elsewhere). Perhaps it’s for the migrants themselves to tell their stories – or their descendants. Immigration is good to talk about and is just a way of life. Those who emigrate and are successful praise the decision they make and are the envy of those left back home and the opposite for those who don’t succeed. I am very fund of history and see immigration of people as one of the best instrument to defeat prejudice, poverty and anti-social behavior. Every time some one emigrate they create a place for some one to fill and prosper and for the bad eggs that emigrate happy riddance. I could not agree more, Shawn! It all works out for the best, somehow. It’s something that has always fascinated me, though. My husband is one (who has now returned to his home country…) Thank you for your comment! This is a late response to Ken who enquire about stories of Jamaicans who had gone to Costa Rica, Cuba, etc. 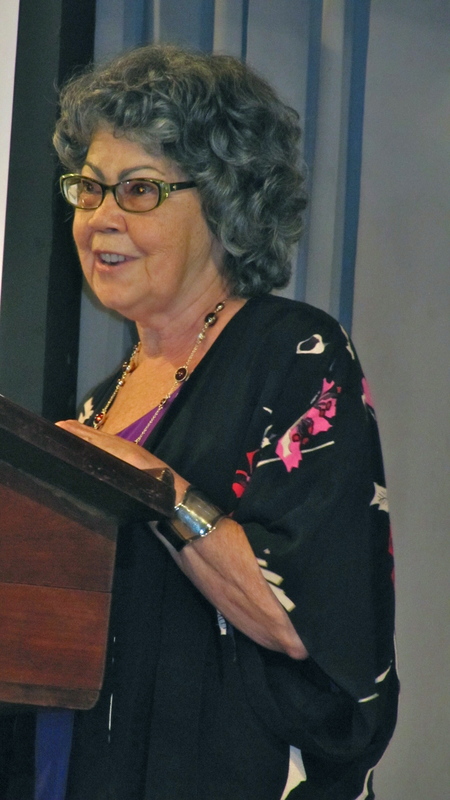 The Latin America-Caribbean Centre at the University of the West Indies, Mona, has held conferences on the subject and the book Regional Footprints edited by Annette Insanally et al is a collection of articles on these other migrations. The book is still available from the LA-CC.